Hublot, the renowned Swiss luxury watch company initiated and developed by Jean-Claude Biver and Ricardo Guadalupe, is coming to the poker world. The company, which has had collaborations with FIFA World Cup, Ferrari, and both American football and basketball, has announced that they will become the “Official Timekeeper and Official Watch” of the World Poker Tour (WPT) and Alpha8. 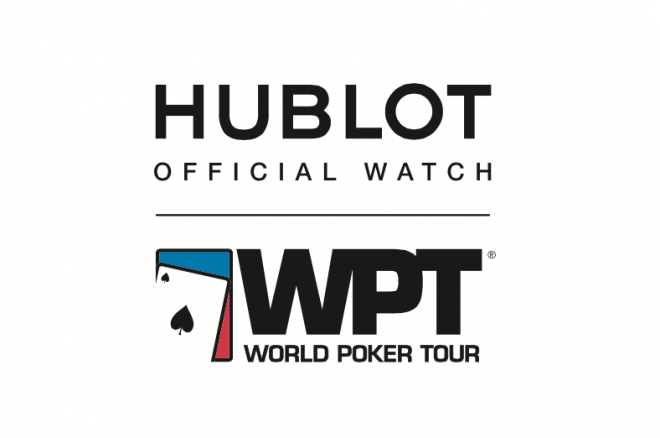 Hublot will also become title sponsor of the for the WPT Player of the Year, now deemed the Hublot WPT Player of the Year, and award the winner a custom one-of-a-kind watch. The announcement was made at the WPT Five Diamond World Poker Classic in Las Vegas, and to mark the occasion Hublot revealed a limited-edition 45.5 mm diameter Big Bang Unico World Poker Tour watch, which is available in two versions. The first is a limited edition of only 100 numbered pieces in 18K king gold, and the second is a more impact resistant steel edition, numbered at 200 pieces. The sapphire crystal of the case-back will also bear the WPT logo. The Big Bang Unico WPT watch will be available at retail while each winner of a televised WPT Main Event and Alpha8 will win a custom timepiece. "Hublot has once again proven itself to be first, unique and different, as the first luxury brand to become Official Timekeeper and Official Watch of the international professional poker circuit,” said Guadalupe, CEO of Hublot. “We chose the World Poker Tour because its global presence, televised tournaments and quality of its players make it a benchmark in the game. I strongly believe that this field has great commercial and marketing potential. The tremendous success of our boutiques in Las Vegas and Macau are evidence of the possibilities. I am delighted with this great collaboration that awaits us." Hublot made headlines earlier this year when they became the first luxury brand to enter cricket, which is extremely popular in places like India, Australia, and the Middle East. The move made Hublot a household name on four different continents.